The Mastermind brings you an exclusive guide to every single Premier League team going into the highly anticipated 2017-18 season. From lineups, to transfers to the wackiest of predictions, The Mastermind has you covered. Here is your guide to one of this season’s top contenders for the Premier League title, Pep Guardiola’s Manchester City. Much was expected of Pep Guardiola’s Manchester City last season, especially after the club went their first six games in the league unbeaten. But after such a promising start to the campaign, the club fell far below expectations and ended up a relatively mediocre 3rd place in the table. With players like Kevin de Bruyne, David Silva, Sergio Aguero and Vincent Kompany on board, the club should simply be doing much better and perhaps with so many problem players gone now, this year could be the year they make it happen. Kyle Walker, Benjamin Mendy, Ederson Moraes and Bernardo Silva have all arrived from some of the top clubs around Europe and will be welcomed additions to the side as City no longer have to rely on the likes of Clichy, Sagna, Kolarov, Jesus Navas, Caballero and worst of all Claudio Bravo. The squad has improved a whole awful lot since May and Guardiola’s men could as a result be early favourites to win the 2016-17 Premier League title. Pep Guardiola’s men performed best in a 4-1-4-1 last season and the Spanish manager is likely to return to the formation this year after a number of failed experiments with his team sheet in 2016-17. Gabriel Jesus, Sergio Aguero and Raheem Sterling could form a deadly trio up front with Leroy Sane and Bernardo Silva coming into the team if injuries were to occur while Silva, de Bruyne and Gundogan could all be deployed centrally. Fernandinho for his versatility and tactical awareness was one of Guardiola’s favourite players last season but don’t expect him to be a guaranteed starter once Gundogan returns from injury. Kyle Walker and Benjamin Mendy are expected to come straight into the side on the flanks while Danilo could play second-fiddle to both. 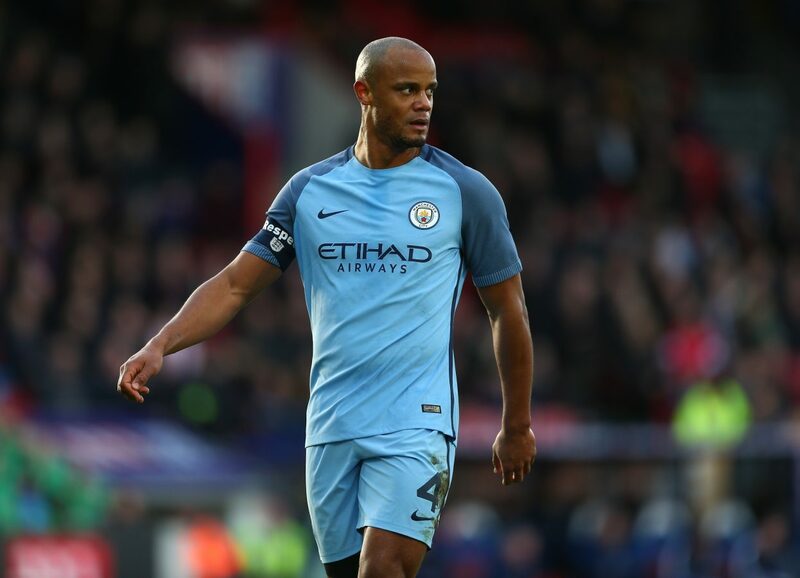 Vincent Kompany’s role in the team could also be a whole lot more crucial in 2017-18 should he manage to avoid injury. Ederson Moraes will also come straight into the side and will act as a massive upgrade on both Claudio Bravo and Willy Caballero. Manchester City’s attack has never been the issue. It has always been their defense that have struggled and without Vincent Kompany at the back, the Sky Blues struggled for so much of last season. But with the Belgian in their ranks again for 2017-18, City should expect to concede a significant amount less this season than last and could be just so much more defensively solid. He’s such a character and such a leader on and off the pitch. His role in Manchester City’s team is immense and without him City never quite look the same team. So even though the likes of de Bruyne, Aguero, Jesus and Silva will all have to be absolutely on top of their games if the club are to win the Premier League title, Vincent Kompany will be the most important player of all in helping to decide their fate. If he can stay fit for at least a long period of the season, Manchester City will finally have a shot at winning the title again. Manchester City’s goalkeeping last season was shocking at times and was the primary reason above all else why they finished much lower in the table than they should have. Claudio Bravo in particular was very bad and from his first game of the season you could just tell that it was going to a be a problem area for the Citizens. Now they’ve signed a world class goalkeeper in Ederson Moraes, still just learning his trade but already at that Champions League level despite being just ten days away from turning 24. The LPFP Primeira Liga Goalkeeper of the Year was exceptional last season and established himself as a regular for both Benfica and his national team Brazil. Now he’s playing at one of the biggest clubs in the world and could turn into one of the best goalkeepers in the world. With the quality of the defense in front of him, Ederson Moraes might not need to pull off too many spectacular saves, but if he can, he will quickly develop a name for himself in this league as one of the best around in his position. Of all the teams in the Premier League, Manchester City might have had the best summer off-season. Not only have they replaced all the players that were absolutely required of replacing, they’ve replaced them with some of the best around. Benjamin Mendy and Kyle Walker are two of the best fullbacks on this planet and the signing of the Englishman not only strengthens City significantly but also weakens Tottenham Hotspur. Bernardo Silva meanwhile was one of Ligue 1’s best players last season and will be a welcomed addition to the team regardless of if he can knock Raheem Sterling off the top spot or not. 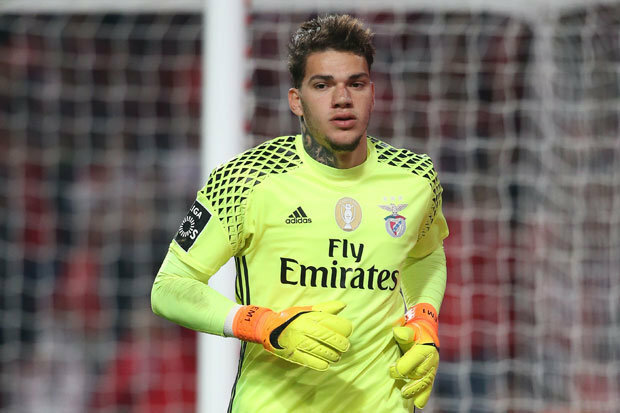 The already talked about Ederson Moraes should also be able to use this season as a platform to propel him to the top of the world rankings after he arrived from SL Benfica. A player who was magnificent for Benfica’s rivals in Danilo da Silva has also arrived at the club after failing at Real Madrid. He will however likely have a hard time knocking Mendy and Walker out of the potential lineup that City could field. Going the other way, Aleksandar Kolarov has been sold to AS Roma, Joe Hart has joined West Ham United on loan, Argentine great Pablo Zabaleta has also departed for the Hammers on a permanent deal and Nolito has arrived back in Spain to play for Sevilla. Caballero, Navas, Clichy and Sagna were all released by Guardiola with only the goalkeeper, Caballero, moving on to a new club as he joins Chelsea. Several more players have been sold by the club, most notably Kelechi Iheanacho who has made a 20-million pound move to Leicester City and Fernando who will now play in Turkey for Galatasaray. Vincent Kompany will be fit for the majority of the season. Ilkay Gundogan will come back from injury strong and in good shape, helping Man City win several matches in his first few matches back. Nicholas Otamendi will start more matches than he might be expected to. John Stones still will not live up to his full potential. Fernandinho will spend as much time as a fullback this season as a central midfielder. Sergio Aguero will be second choice to Gabriel Jesus when Guardiola wishes to play with only one striker. Bernardo Silva will be a failed signing for the club. Aaron Mooy will come back to haunt the club at Huddersfield Town. Pep Guardiola will be embarrassed by some of the league’s bottom-tier teams. Manchester City will not win the title. Manchester City’s squad looks unbelievable going into the 2017-18 season and it is almost too good to be true. There are many questions that still have to be asked about this Manchester City side. Will Jesus start over Aguero or will they play together? Will Sane start? Will Bernardo Silva start? How will Gundogan, Fernandinho, David Silva and de Bruyne all fit into the same team? Will Man City go with a more basic formation or experiment far too much and fail again? And most unpredictability, how will John Stones fare this season? There are simply too many questions about City that still have to be answered and that is why The Mastermind is backing them to be not the Champions but the runners-up to the champions. That will ultimately not be good enough for Guardiola again and he may have to take a hefty amount of criticism from representatives around the league. Still though second place is highly commendable and is probably right where Man City should be given the tremendous quality of a lot of the players they have in their ranks. A lack of fighting spirit, a true desire to win matches and that killer instinct however will cost them as they finish right below where they want to be in second place and right below their arch-rivals Manchester United.